It’s a video “chain letter” format. Each person answers the question of the person before them, and asks a question of the person who comes next. Simple right? 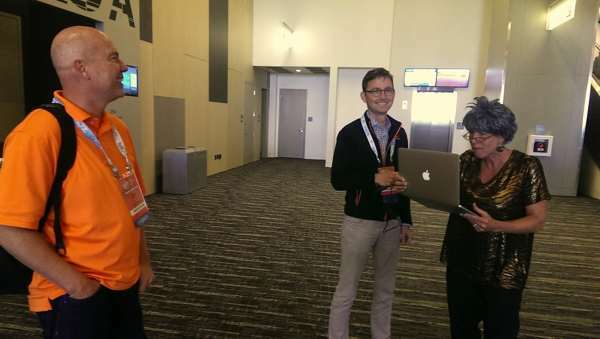 How could we spend four days in Cleveland for Content Marketing World 2014, the biggest and orange-est conference in the industry, without making a little content? Here’s a run-down of the questions and answers. Yes, some of the questions degraded a bit toward the end, becoming more about fashion and less about marketing. Actually, the entire format was silly. As soon as we finished, Mike Stelzner gave us four ideas on how to do it better. Last year, we created the Content Marketing World Yearbook, and this year we did it again with the help of Amy Higgins and Erika Heald. We’ll share that once it’s live. 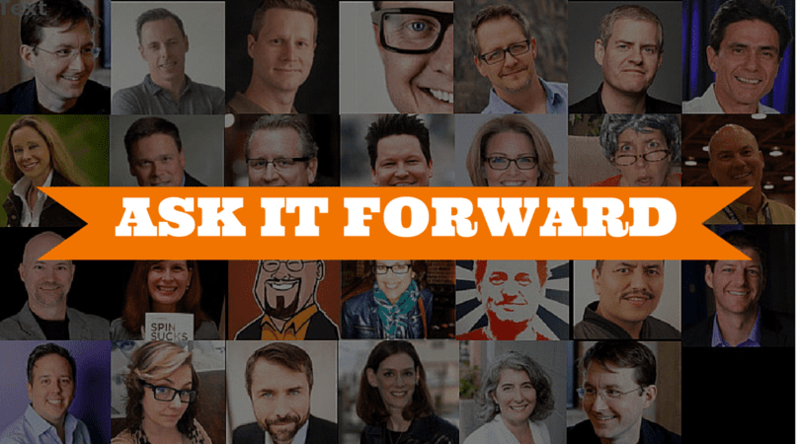 Until then, if you like the “Ask it Forward” format, turn on your own webcam and ask a question of your favorite marketer. Invite them to pass it on and ask a question themselves. You never know where it might lead to. Maybe Cleveland! Fab post Andy, I love it. Thanks for including me. Did you like the pic I chose for you, Ian? hahah Your outtakes were the best. Wonderfully eclectic, ‘weird’ and creative. It feels like boundaries are blurring and the differences between marketing, story-telling, art and a whole load of other stuff are becoming harder to pin down, which is kind of scary but also extremely liberating. And thanks Andy for putting all these good folk on my radar! Talk about free 50 yard line tickets to watch the content marketer’s Pro Bowl. This was just fantastic and a lot of fun. Thanks for taking the rest of us to the conference with you, Andy and Amanda. Andy: As usual, VERY Creative and super informative — great “content,” great video!! Oh, and I learned a lot — that’s why I follow you, Andy, Digital Media Guru. Ha! 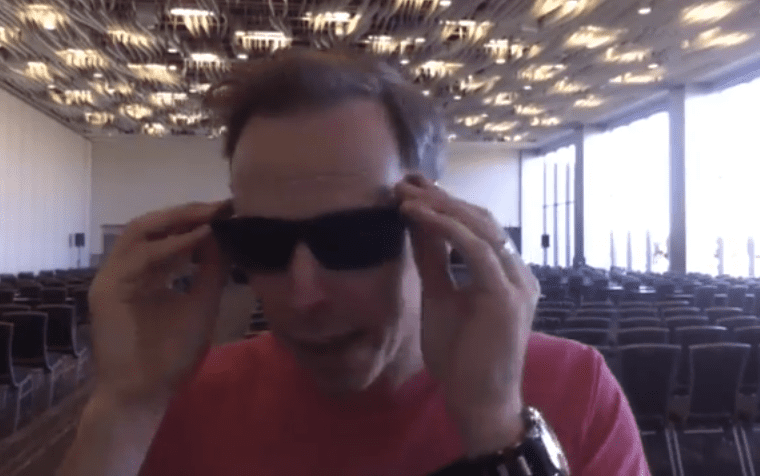 Brody Dorland’s comment on Google Glass – lol ! 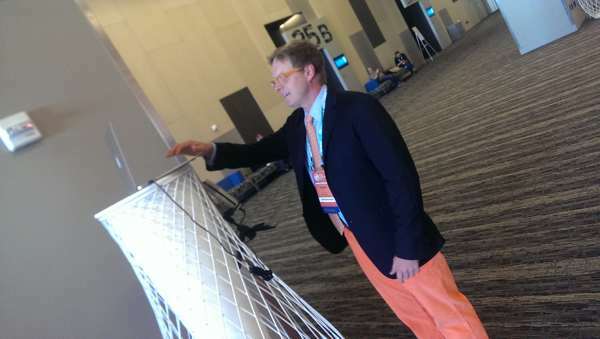 First the orange yearbook, now the video chain letter … Andy your ideas are always a #CMWorld highlight. Thanks for keeping the party going and including me in the fun. Great catching up and I’ll see you in a few weeks here at #ASCENDSummit2014! 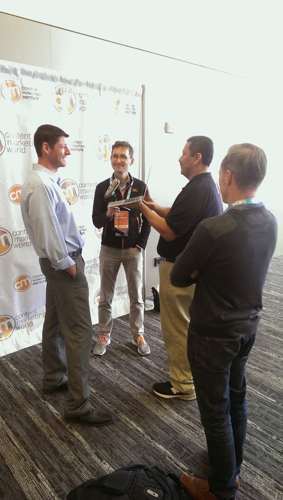 Andy, thanks that was a great take and offered great tidbits of Content for the Web. 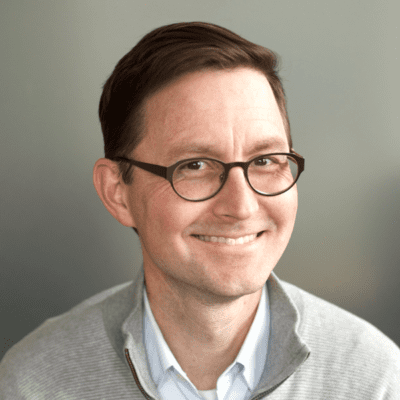 Andy – you prove over and over again that in the game of content, it’s quality over quantity – which is why I always read yours 🙂 Another great post. The wheels are already in motion my friend! I’m taking your “please steal this idea” suggestion to heart. Thanks for the answer, the question and the blooper, Ramon. Great to see you here in the comments! Maybe the goofiness was inevitable. You can’t control these things, right? Create the concept and see what people do with it.